The Shakespeare Theatre Company will receive this year's Tony Award for Regional Theatre -- the annual prize that the ceremony, which honors Broadway theater productions, hands to a company located outside the Great White Way. Shakespeare Theatre is the third D.C.-area troupe to receive the prize; Arena Stage won it in 1976 and Signature Theatre won it in 2009. This morning's announcement of nominees for the 2012 Tony Awards included several plays that are familiar to D.C. theatergoers: "Clybourne Park" and "Venus in Fur," which had early runs at Woolly Mammoth Theatre Company and Studio Theatre, respectively. They're both nominated for best play. "Venus in Fur" also picked up a nominations for acting (Nina Arianda), while "Clybourne Park" earned nod for acting (Jeremy Shamos), directing, and scenic design. "Follies," the pricey, Kennedy Center-produced nostalgia trip starringBernadette Peters, earned a nod for best revival of a musical. Its production at the Eisenhower Theatre didn't earn any Helen Hayes Awards last week despite several nominations; perhaps some of its eight Tony noms, including four in acting categories, will come through. 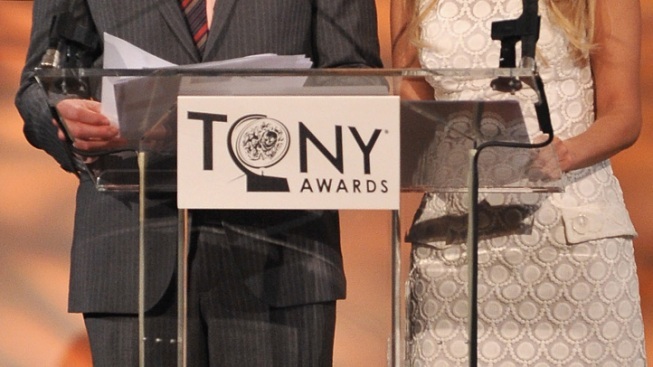 The Tony Awards take place at 8 p.m. on June 10, and air live on CBS. We know Shakespeare Theatre Artistic Director Michael Kahn is telegenic because he was just on "Charlie Rose." Shakespeare Theatre Company Earns a Tony was originally published by Washington City Paper on May 1, 2012.